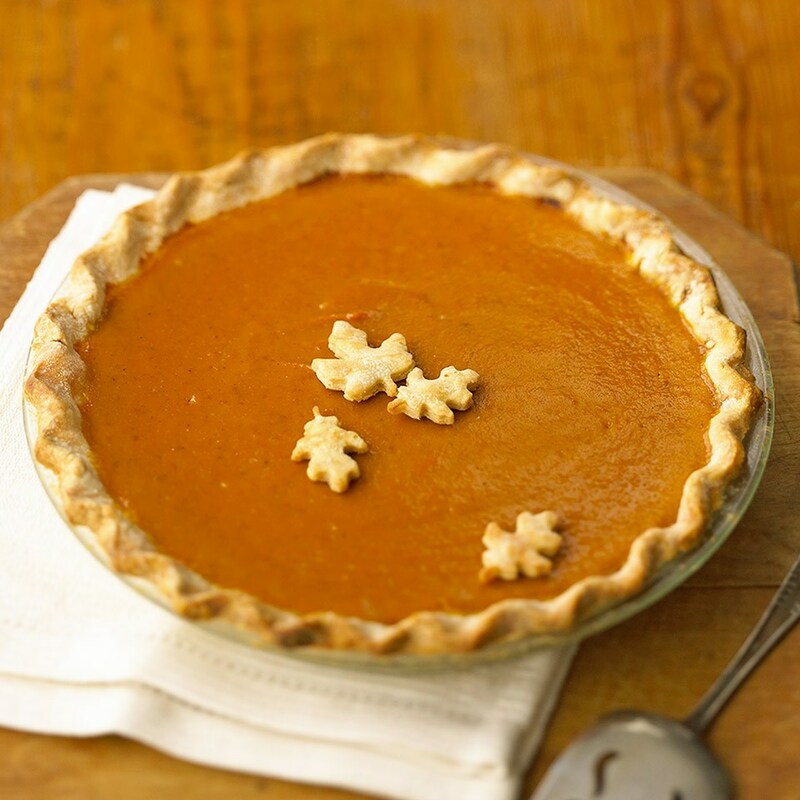 For today’s post I am going to be sharing with you, “diabetic friendly Thanksgiving recipes”. I know from personal experience how difficult it can be to have dietary restrictions. Eating out can be so hard and sometimes I have even felt embarrassed because I have to tell Waiters to make sure my food doesn’t touch X, Y and Z. This leads me into why I am going to be expanding on the types of food recipes I share on my blog. By the time Thanksgiving is here and even after, my blog is going to be filled with recipes that people with food restrictions can enjoy. I have already posted so many gluten-free, vegan, dairy free, diabetic friendly and regular food recipes on my blog, you can find all of these under the food category under “menu” or “categories”. Lastly, be sure to tune in for Friday’s post which goes up at 8 a.m because……… , I am going to be sharing my very exciting news! ENJOY today’s post 🙂 and if you have any questions feel free to comment them below. Traditional rice is high in carbohydrates, which can be difficult for diabetics to process, as carbs are turned into sugar when they are digested. 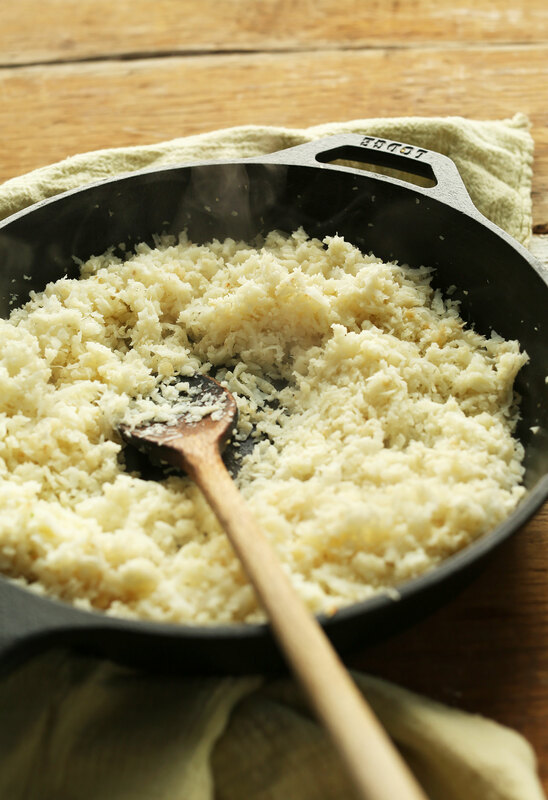 Cauliflower rice is very low in carbs and is a great traditional substitute. Pulse 1 head cauliflower in a food processer until it’s fine. Place in a bowl, sprinkle with olive oil and toss. Spread the cauliflower on a baking sheet and roast in the oven until golden. Add a pinch of garlic and a handful of salt to flavor. Thoroughly wash 1 cup each of fresh blueberries, strawberries and raspberries. Combine ¾ cup of fat free sour cream and ¼ cup of maple syrup in a bowl and whisk the two together until well blended. Spoon the sour cream and maple syrup topping over the berries and for a tasty, delicious, sweet, refreshing and diabetic-friendly snack. Add diabetic friendly granola if desired. This recipe takes just minutes to whip up. Tips: If using a sugar substitute, I recommend Splenda® Granular or Sweet ‘N Low® bulk or packets. Be sure to use package directions to determine product amount equivalent to ⅓ cup sugar. Nutrition Facts per serving with sugar substitute: 171 cal., 8 g total fat (1 g sat. fat), 1 mg chol., 108 mg sodium, 22 g carbo., 2 g fiber, 5 g pro. Preheat oven to 350°F. 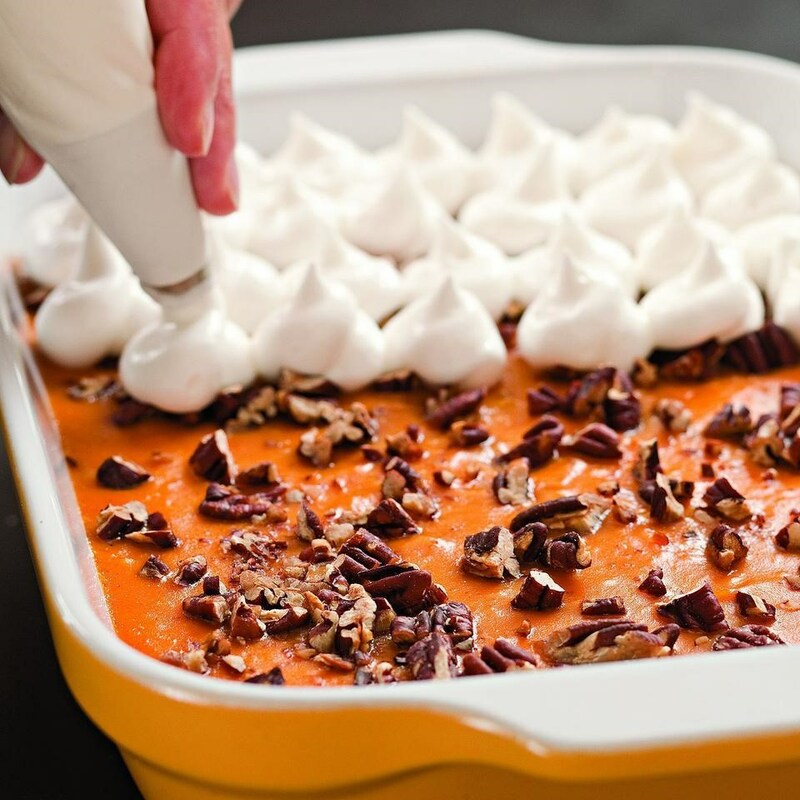 Coat an 8-inch-square (or similar 2-quart) broiler-safe baking dish with cooking spray. To prepare meringue topping: Position rack in top third of oven; preheat broiler. Beat egg whites in a medium bowl with an electric mixer at high speed until soft peaks form. Beat in granulated sugar in a slow, steady stream. Continue beating until stiff peaks form. Remove plastic wrap and spread apple stuffing evenly over the meat, leaving a generous 3/4-inch border. Roll up meat jelly-roll style so that stuffing is in a spiral pattern. Tie rolled roast at 2-inch intervals with butcher’s twine. Preheat oven to 350 degrees F. Spray an 8-inch square baking dish with vegetable cooking spray. Set aside. 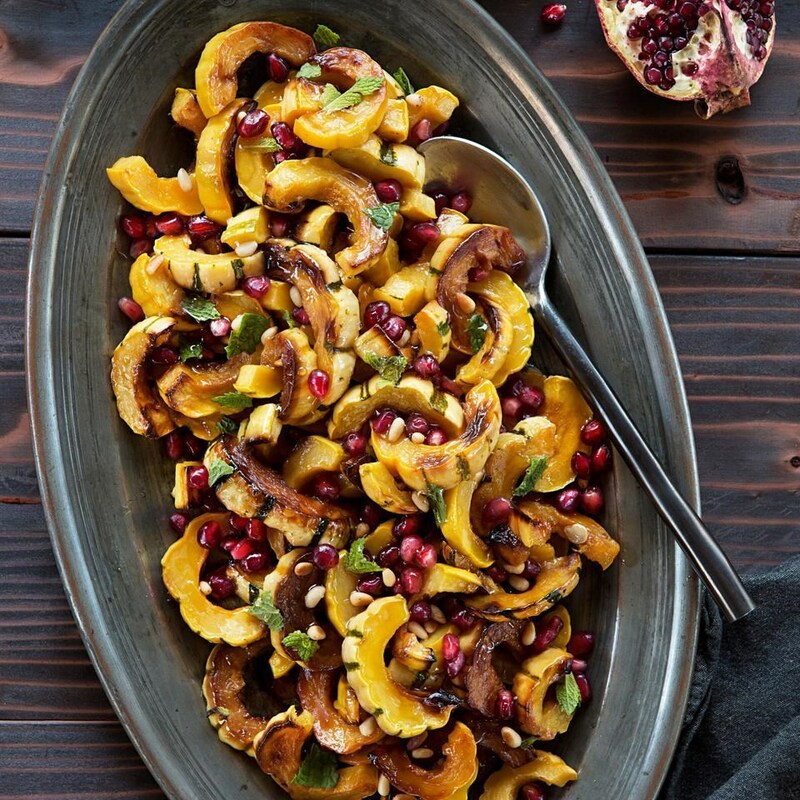 Make Filling: whisk together Splenda Granulated Sweetener, cinnamon, orange zest and orange juice in a large bowl; add apples and toss to coat. Transfer mixture to prepared pan; set aside. Make Topping: stir together oats, Splenda Granulated Sweetener, and cinnamon in a medium bowl; cut butter in with a pastry blender or 2 knives until mixture is crumbly. Stir in cereal and walnuts. 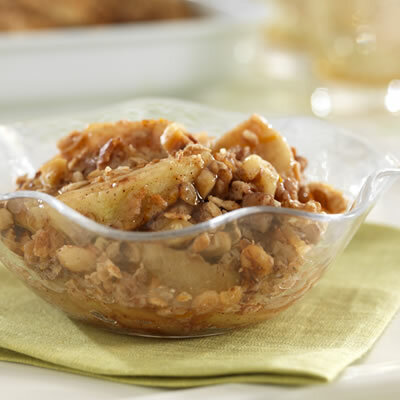 Spoon topping over apples. Bake 45 minutes or until topping is lightly browned. Serve warm. Thank you so much for reading today’s blog post. If you have any questions leave them below, but if you do not then I will see you tomorrow for another post, then Friday for my BIG NEWS! Great that you’re posting diabetic recipes too! Maybe you could post some low fat recipes?